Scary ! . . . . . It's a little bit creepy, which is why I like it! well, one reason this isn't gothic. There's red. She's wearing red. 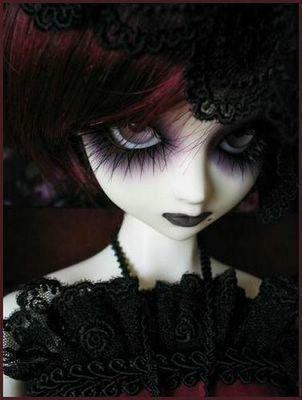 Gothic is only black. This is emo.